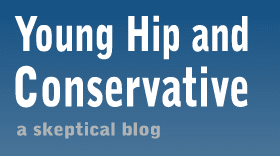 Young, Hip and Conservative: a skeptical blog: Did we just win this one? The media has latched onto an old story this week - that Andrew Wakefield's 1998 study in The Lancet that reported a link between vaccines and autism was deliberate fraud, that Wakefield was funded by lawyers suing vaccine manufacturers and was trying to create a market for an alternative vaccine he held the patent to. Still, better late than never. This could be the tipping point that undermines the entire anti-science vaccine denial movement. It's not time to break out the party hats, and some of the media is downplaying how damning this is. But we really couldn't expect a better event for this issue. The other side is scrambling to say this study was anything less than the foundation they built their crusade on. With all the enlargement they made in the 00's, victory will be a major shrinking of their numbers but not a vanishing act. The real story here - the reason why autism rates have risen dramatically over the last 20 years - is that the definition of autism (via the DSM) has widened to the point of meaninglessness. Now, if a child doesn't engage in whatever teacher sees as "an appropriate level of social reciprocity" ... BOOM! AUTISTIC! Shovel some drugs into his mouth and look for someone to blame!